Regardless of whether you have a home office as a place to run a business, do homework, or manage the household, you want it to feel like home. Ideally, it is a space that is designed to suit your needs as well as an enjoyable space that you want to spend time in. A home office with custom cabinetry that is designed to your needs will ensure it functions well and flows with the rest of the home. Above is a knotty alder office we built for a client. The office is warm, with tons of storage and display space. 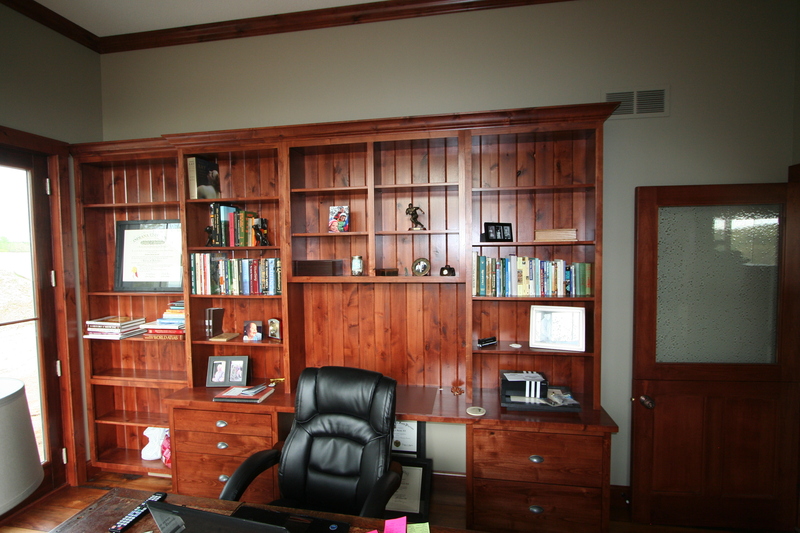 What would your home office, den, or library look like? Dory never thought she would be a cabinet builder when she grew up! She enjoys working with customers to bring their ideas to life and help make their homes a place they love. Your Opinion Matters! Do You Love Your Rollout Shelves? We are heading back to the Home and Garden Show!